In my previous post, I provided a short overview of the evolution of the lending space and the role of banks herein. Over the past years, especially as a result of the financial crisis and arising regulations, banks have pulled back from issuing loans. This has paved the way for alternative financing solutions like Peer-to-Peer lending, crowd-funding and micro-lending. The most significant similarity between these three services is that there is no involvement of traditional financial institutions. In this post I will discuss their most important features, explain which markets they serve, and show what their key differences are. The core concept of Peer-to-Peer (P2P) Lending is a that a group of investors lend to one person or business without the interference of traditional financial institutions. Usually the investors are individuals who are not related to and do not know the borrower. The development of the internet has enabled this new form of lending: an online marketplace that completely facilitates the loan transaction. An interesting trend in the P2P Lending space is the increased participation of institutional investors and banks. P2P Lending companies can operate more efficiently thanks to the use of new technologies and less overhead cost, thereby making these marketplaces very interesting for both borrowers and investors. According to Charles Moldow, a partner at Foundation Capital, P2P Lending Platforms have a 400 basis point advantage compared to traditional banks. A notable player in the field in Europe is Zopa (located and operating in the UK). In the United States, LendingClub and Prosper are the first P2P lending platforms who service the US market. Funding Circle and OnDeck also facilitate small business loans through their marketplaces. A new and truly unique P2P Lending platform is our company, BTCJam! By using bitcoin as a transaction protocol and a global credit-scoring model, BTCJam is the only P2P lending company that operates worldwide. First, crowd-funding is typically used for specific projects or ideas and not for personal loans. The second distinct difference is that investors who contribute to a project do not get interest–instead they’ll receive rewards, special perks, or gifts. For example, they may get the first release of an album or the product they supported. 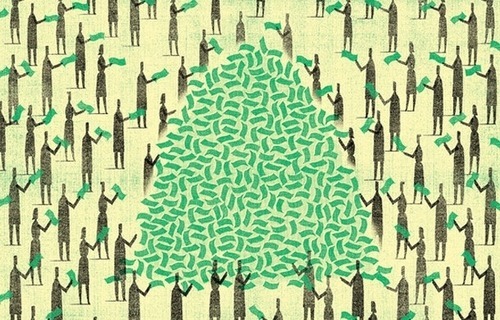 A new development within the crowd-funding industry is the so-called “Equity-Based” crowd-funding: as a reward, investors receive unlisted shares of the company. Equity crowd-funding has been a popular way of raising capital for companies in Europe and Australia for several years. In the United States, equity crowd-funding is only accessible for accredited investors, but this could change soon based on the JOBS Act. The JOBS Act would let non-accredited investors gain access to equity crowd-funding which would dramatically expand the possibility for startups and entrepreneurs to raise capital. Seedrs is an Equity crowd-funding marketplace that operates only in Europe and has been very successful. A well-known crowd-funding platform is Kickstarter; people have pledged over $1 billion, funding 65,000 projects. Kickstarter is not equity crowd-funded, which prohibits individuals from making long term equity on the products they invest in. The main goals of micro-lending are to financing poverty stricken areas of the world and reach underbanked communities. The loan amount is usually very small and the purpose of the loan is usually for personal use. Many of these loans help to finance medical bills, small businesses, education, and agricultural development. In P2P lending and crowd-funding, there are multiple investors contributing to the loan, whereas in micro-lending, you often see that also the borrowers team up. Loans are provided to a group of people who will vouch for each other, thereby, minimizing the risk of default. 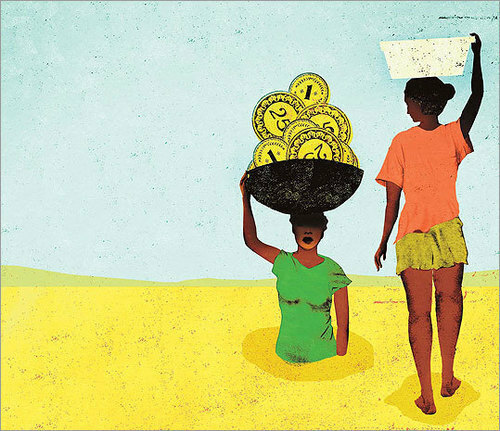 The first micro-lending initiatives did not have profitability as a driver, but over the years some micro-lending institutions have argued that doing good shouldn’t stand in the way of making profit. Opinions remain divided on the subject. Grameen Bank is one of the first and leading Microcrediting organizations. Besides micro-lending it also offers other financial services. Kiva created an online marketplace to connect investors with borrowers in developing countries. Kiva works with local field partners who assess, distribute, and monitor the loans. In the chart below I summarized the characteristics of the three financing solutions. The alternatives to traditional banking loans all serve different markets and it’s strongly recommended to research which solution suits your needs.